Brace yourself for the first First Caturday of the year. Since 2014, folks have been bringing feline friends to Dolores Park, so they can finally see what’s been going on Saturdays while they sit at home watching birds. 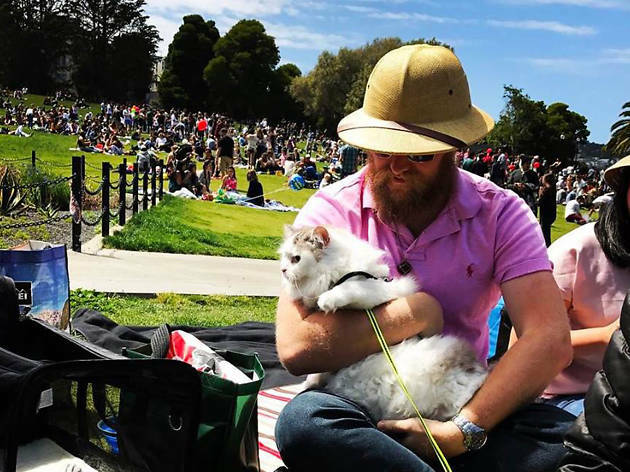 Whether kitty digs a leash, stroller or the reassuring confines of a carrier, all are welcome to meet up near the playground for a day of fresh air, cat-naps and meeting new friends.